flea markets are one of my favorite things in the whole world. 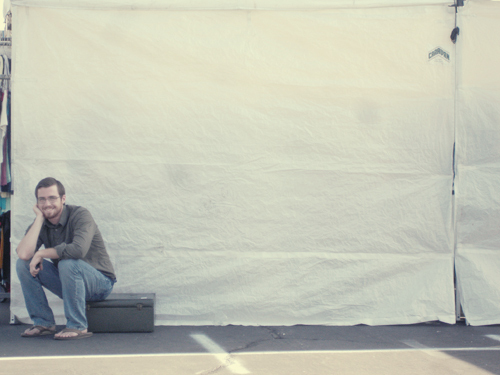 if i could, i would take a thrift/flea market road trip and travel the country stopping through markets and swap meets and thrift stores ;) here are some images from a trip to the rose bowl flea market. my nicholas. he is such a sweetheart. he's not the biggest fan of flea markets but he goes cause he knows i love it. he doesn't ever complain or get grumpy, he says he just wants to be with me. my finds. a few things from the dollar pile. some pretty handkerchiefs that i will tie together for a simple flag banner for wedding decor. old keys. a special jewelry box. and my favorite green suitcase. tell nick it isn't that bad! ben loves it!!! we are planning to make a trip to SF and planning it around the first sunday of the month because we hear that their Alameda market is much better than Rose Bowl!!! We were there on Sunday too!!! p.s. i like your green suitcase! We have always wanted to go to that flea market on our trips out to LA but it has eluded us still! Lovely pics...that one of your guy is really great. oh my my my. what an amazing place! old keys and jewelry boxes: great finds! so jealous. i'm covered in 2 feet of snow and things just look so peachy there. i'm moving. hope you had fun... but then again, it was probably hard not to..
Love flea markets! I can't wait until the weather is a little nicer here so I can start going to them again. I want a cool crystal doorknob!! what fun! this is the kind of outing i dream about. and such a great guy you have.. so sweet. with a cheery smile, even. ps. cute shoes! and lovely finds! Awww.. Pasadena Flea Markets! Lovely finds! cool finds...i love flea markets! Love the old suitcases and cameras! what great pictures! i've never been to a flea market but now want to go. thanks for sharing! oOo!!! i like the green luggage. i've been hunting around for one also! and i like seeing your shoes peeking into some of the photos. :D.
I have that jewelry box! My grandmother gave it to me -- probably an estate sale find. If you know anything about it -- where it's from, time period, etc. -- please let me know! What fun pics! Makes me want to go now! love your photos!! you have probably answered this before, but what kind of camera are you using? That is the most amazing flea market! A little overwhelming but so fun! I hope to make it to the Rose Bowl flea market someday — looks amazing!! 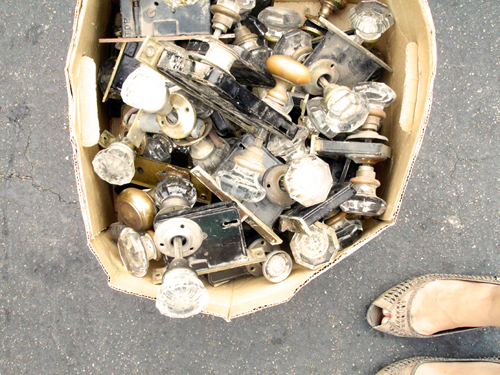 I know how you feel — I could never tire of walking around flea markets. Dan's not a big fan of shopping or crowds, but he was a sport and went to the Brooklyn Flea with me as part of our Valentines Day. I love these photos Danni!! I want to go to these things you call flea markets. We have markets here but I think they are a bit different. I've yet to find a really cool flea market in San Diego. And I need one like this. Oh, the bottles...it's just so wonderful. Love these photographs. Oh my goodness I want to come with you to this place. It looks like they have fun finds. Love the suitcase! how sweet of nick!!!!! I can't even take John to the mall! He hates it so much as soon as we walk in he says he suddenly doesn't feel well... then proceeds to blow in my hair as a way to annoy me! By annoying me, he thinks I'll wanna leave? IDK... he's a silly one. 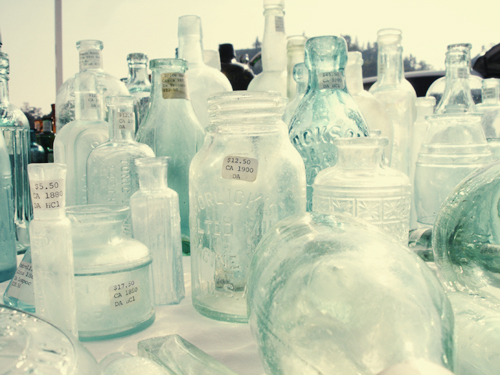 i have never been to a flea market but i want to go to one soo bad! Especially to expand my collection of vintage cameras! How do you find out about these flea markets?? what a sweetheart for going with you. Flea markets are so fun! I go to the Alameda fair almost every month, its so much fun! That green suitcase is great, I've had my eye out for a good vintage suitcase but haven't found the right one yet. great photos! looks like a great visit! i too adore flea markets, there's nothing like getting lost in endless lost treasures for an entire afternoon. hope you're having a lovely week! It's official: flea markets on the West coast are way better than the ones that I've seen here on the East coast. I wish I could've had more time to visit a few during my time in L.A. 2 years ago. Hopefully on my upcoming visit I'll save some time (and luggage space) for flea market finds! danni! i didn't make it into the food fest! there were sooooo many people. stood in line but they closed admission! boo. next time maybe. and hopefully you'll be selling next time! great finds! those doorknobs are beautiful. it's hard to prioritize my collection at markets sometimes... must choose which items i can *work* into the house without too much protest from my mr. ha ha. I'm with you on flea market love! Great finds you've got there! The suitcase is amazing! I agree on LOVING flea markets, hitting some up in New York on Sunday and simply cannot wait!! 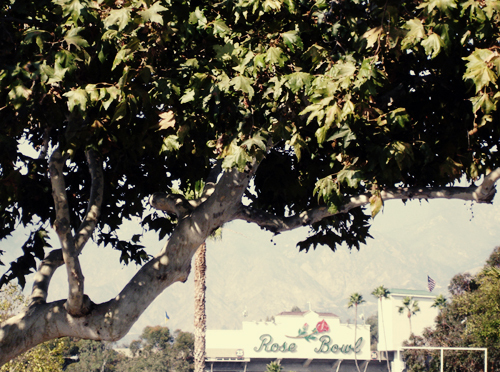 Oh the Rose Bowl & Alameda....be still my heart. I'm half way between both and could go EVERY.SINGLE.TIME!!!! wow, you found some good pieces! i too love flea markets (yours looks a bit more sophisticated then then one i'm close too which is pretty interesting needless to say). i love finding treasures! gorgeous finds. flea markets really are fun. im lucky my boyfriend loves them as much as i do, i just have trouble getting him to slow down to my pace! :) i think this flea market is much better than the ones I am close to though, such pretty things. 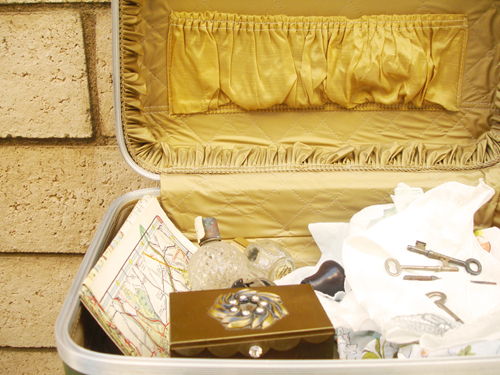 i love the suitcase and the box of old doorknobs. Such great finds! 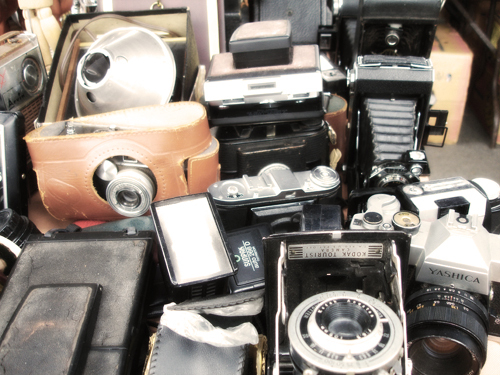 I wish our flea markets had stuff like that, ours are always filled with junk you would find at a dollar store! My dream is to spend a weekend in Paris perusing the flea markets...now I bet they have some wonderful treasures! now that looks so fun! I love a good flea market day as well. Nice photos! I really love scouring at flea markets too! Wish Singapore had flea markets/garage sales like that. Some things usually can't be found anywhere else too! so many great things just in the few images you included! i'm sure it is well worth the time of being there for all the lovely things you find (but nicholas is very sweet to hang in there with you nonetheless!). p.s. 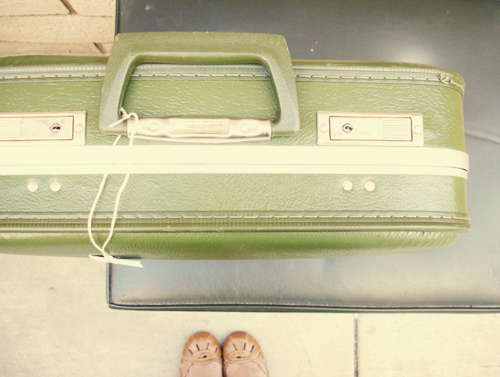 that suitcase you got is such a gorgeous find! hey! i was there too! it's so fun to see your beautiful pictures!! I want a green suite vintage luggage!